HOUSTON — The UTRGV volleyball team won its second match of the season’s opening day, 3-0 (25-21, 25-22, 25-16) over Prairie View A&M on Friday at the HBU Classic at Sharp Gym. Junior Barbara Silva led UTRGV (2-0) with 16 kills on .414 hitting, six digs and three aces. Junior Julia Moctezuma recorded a career-high 11 digs. Senior Dubravka Vukoja dished out a match-high 34 assists. Jaylan Thomas led Prairie View A&M (0-2) with five kills and seven digs. UTRGV led 3-0 out of the gate on kills by Silva and senior Antonela Jularic. UTRGV maintained that lead, going up 11-7 on a block by Vukoja and junior McAllen Memorial alum Draik Banks before Prairie View A&M scored seven straight points to take a 14-11 lead. UTRGV regained the lead at 19-18 on an error and took the lead for good at 20-19 on a kill by sophomore Veronika Jandova, who later ended the set with an ace. Prairie View A&M led early in the second set at 3-1 and 9-8, but a Jularic kill sparked a 5-0 run to give UTRGV a 13-9 lead. Then, with the score tied at 15, an error, a Silva ace and two kills by sophomore Los Fresnos alum Jackie Kinsgbury helped UTRGV go up 20-15. Prairie View A&M came back to tie the set at 22 before kills by Jularic and Banks put the set away. Prairie View A&M had the lead midway through the third set, going up 13-9. Silva responded with three kills and two aces, however, to power a 15-3 run to end the match. UTRGV opened the day with a 3-0 (25-9, 25-20, 25-22) victory over Louisiana Tech. Jularic led UTRGV with nine kills on .471 hitting and four digs. Silva recorded eight kills with a career-high four aces. Banks recorded six kills on .500 hitting with a match-high tying three blocks. Sophomore Debora Nazario dished out a match-high 29 assists while senior Gysell Zayas recorded a match-high 15 digs. Lara Hendricks led Louisiana Tech with nine kills. 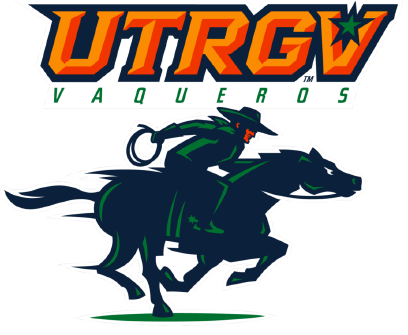 UTRGV outhit Louisiana Tech .315 (34-11-73) to .069 (30-24-87). Three of Silva’s aces came in the first set, as she won 12 of her 13 serves. She won six straight serves, including one ace, to help UTRGV turn a 1-1 score into a 7-1 score. Then, with UTRGV up 19-9, Silva won the final six serves of the set, including two aces. UTRGV never trailed in the second set, taking its largest lead at 13-7 on a Silva kill. Louisiana Tech won six of the next eight serves to pull within two, but a kill and an ace by Kingsbury sparked UTRGV to score five of the next seven points and push the set out of reach. Louisiana Tech took its first lead of the match in the third set, going up 15-12 on a Hendricks kill. Jularic responded with a kill to help UTRGV score the next six points and take the lead. Louisiana Tech came back to take a 22-21 lead on a Mia Postran ace, but UTRGV took advantage of four straight attack errors to complete the sweep. UTRGV closes out the tournament against host Houston Baptist at 2:30 p.m. Saturday.